International Arbitration in the United States is a comprehensive analysis of international arbitration law and practice in the United States (U.S.). Choosing an arbitration seat in the U.S. is a common choice among parties to international commercial agreements or treaties. However, the complexities of arbitrating in a federal system, and the continuing development of U.S. arbitration law and practice, can be daunting to even experienced arbitrators. This book, the first of its kind, provides parties opting for “private justice” with vital judicial reassurance on U.S. courts’ highly supportive posture in enforcing awards and its pronounced reluctance to intervene in the arbitral process. There are also chapters on arbitration in specialized areas such as class actions, securities, construction, insurance, and intellectual property. 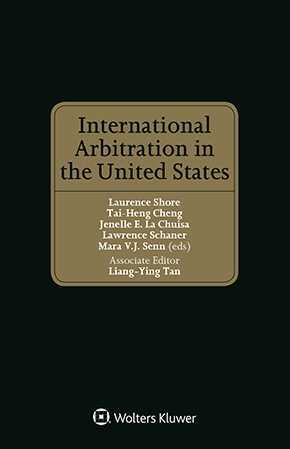 As a topical reach that gives a wide perspective on the practice of international arbitration in the U.S., this book helps practitioners to conduct and navigate an international arbitration in the U.S. confidently. The in-depth discussion of law of international arbitration, including legal framework applicable in the U.S. in each stage of arbitration, from drafting of arbitration agreements to enforcement of arbitration awards, has not been attempted by any other publication. This book, thus, serves as an invaluable resource to both U.S. and non-U.S. lawyers for conducting arbitration on U.S. The Federal Arbitration Act and State Arbitration Acts: Impact of Federalism on International Arbitration in the U.S.